On June 24, 1947, Kenneth Arnold became one of the first highly credible UFO witnesses. As a pilot, he observed 9 unusual objects flying near Mount Rainer, Washington and was possibly the man who coined the term flying saucer. He would later describe the erratically flying objects as crescents or flying wings. As a pilot, Arnold’s credibility and his knowledge of things in the sky made him highly credible. Arnold, however was far from the only pilot to see such phenomena. The fighter pilots of World War II regularly observed mysterious lights flying past or alongside them. They called them Foo Fighters. 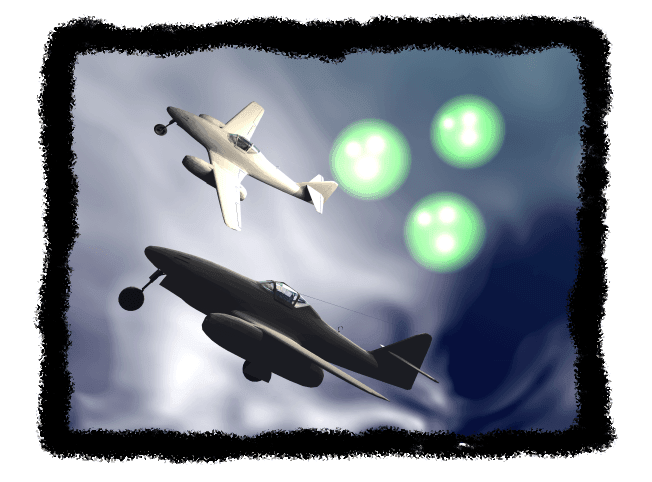 Sightings these Foo Fighter UFOs were unexpectedly common during WWII. Saw a brilliant red light at 2000 feet going E at 200 MPH in the vicinity of Erstein. Due to AI failure could not pick up contact but followed it by sight until it went out. Could not get close enough to identify object before it went out. Spy games were a critical part of WWII and the intelligence agencies of the time were able to intercept communications from Germany and Japan. As it turns out, German and Japanese pilots were seeing these Foo Fighter UFOs as well. US allies also reported sightings of Foo Fighters. In December of 1942 a Royal Air Force pilot flying in a Hurricane Interceptor over France saw two lights shooting from near the ground up towards him. He was flying at 7000 feet. The pilot assumed the lights were tracer fire until they began following him and mimicking his evasive maneuvers. The objects followed him for a few minutes before zooming off out of sight. 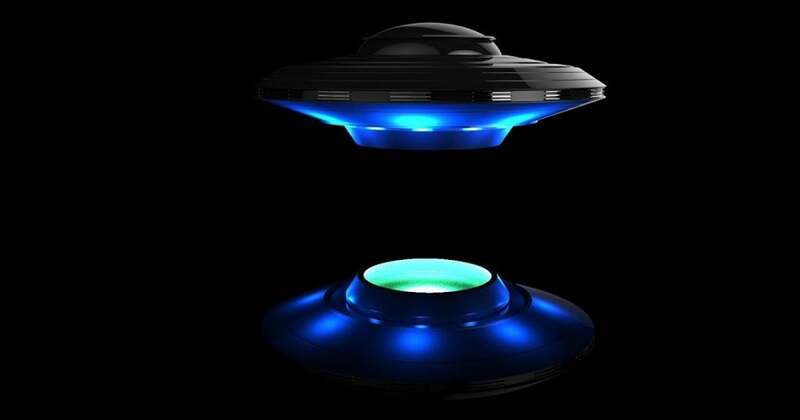 What Were the Foo Fighter UFOs Really? If it wasn’t then Nazi’s then who or what was it? Regardless of the truth, newspapers often claimed the Foo Fighters were some type of new Nazi weapon. They claimed the objects were either transparent or silver which was different than the fiery red or mixed colors that pilots normally reported. According to author Renato Vesco, the Foo Fighters were indeed some type of Nazi secret weapon. He wrote about them in his book, Intercept UFO. The book claims that UFOs are from Earth, created by a technology race driven in World War II. Many people believe the Nazis actually obtained and reverse-engineered alien technology during the war. Skeptics have suggested the Foo Fighter UFOs were the result of electrical discharges. Although electrical discharges are common, they normally occur at the wingtips of aircraft. While this might account for some sightings, there are many pictures of Foo Fighters far off the wings of the planes. It’s important to note that the quality of photography during World War II wasn’t great. Poor photo quality can easily explain away many of the available images. Images that are more clear remain a mystery. But how is it that fighter pilots, who were very familiar with aerial objects, continuously reported things which they couldn’t identify? The Foo Fighters are a classic example of how photographic evidence doesn’t always match up with eyewitness reports. While grainy photos and conspiracy theories run amuck, the perfect eyes of trained pilots must be taken seriously. These men saw things they couldn’t explain. Haha did you know the band got their name from a UFO book that talked about this very phenomenon? Over the yrs I’ve seen and heard so much footage of pilots mystified encounters with foo fighters. There’s so many i could say it’s practically all the confirmation you’d need to sway you to believing and knowing that all these people can’t be talking nonsense. Most of them don’t even know each other. How much more evidence is required for the masses to look at it themselves and actually see the truth right before their eyes. If and when your to be lucky enough to witness anything of this nature, remain calm and breathe. You will want to flee in the fear of the unknown. But you freeze on the spot due to this fear. This fear I confirm is a liar. Do not fall for it. Glare upon it and feel the awakening of the reality of the power you hold within yourself. I wrote about this phenomenon because of the fact that it remains unexplained and of the credibility of the pilots. Most of what I find online is either obvious hoaxes or misidentification – or there’s simply a more likely explanation – but not this one. Truly mysterious as to what these were, where they came from, and who (or what) was controlling them. It happened many times. It was that common that normal citizens knew it was happening. For it to have been common knowledge among the public shows how often it happened.